Boat Documentation Key Tag - - engraved with your Coast Guard boat documentation number in miniature. Includes a 3/4" split key ring. Fast turnaround; ships in 1-2 days. 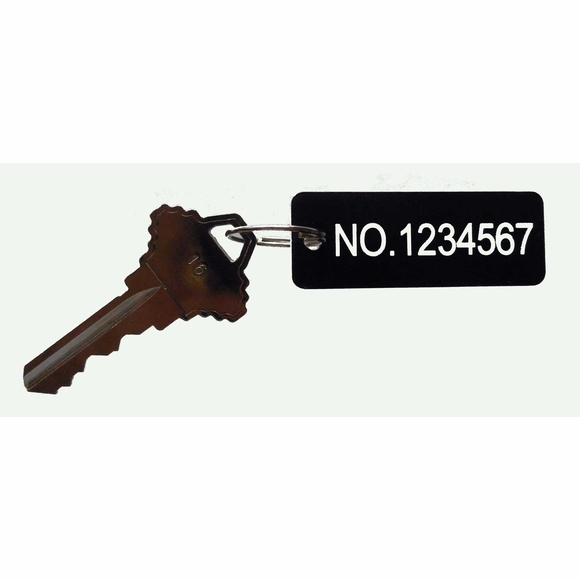 Be sure to get one for your locker key, trailer hitch lock key, salon door key, outboard lock key, marina key, bathroom access key, padlock key, etc. Documentation number provides instant identification. Manufactured of the same high-quality, UV-resistant acrylic as your official Coast Guard documentation plaque (Comfort House # P2425). Dimensions: 2"W x .75"H x 1/8" thick. Color: black with white characters.